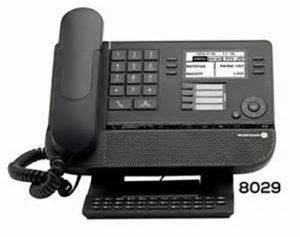 You are here: Home / Vendors / Alcatel-Lucent Enterprise / Voice Product Range / Digital Premium Desk Phones. 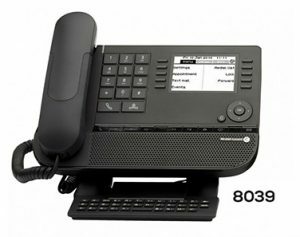 Alcatel-Lucent 8039 and 8029 Premium Desk Phones offer a complete digital communications experience with superb audio quality in both in hands free or in the comfort of a traditional handset. The new innovative design comes with several ergonomic enhancements such as adjustable foot stand, alphabetical keyboard, backlit display, dedicated function keys, user friendly navigator as well as a complete set of accessories. These elements will facilitate the user’s business day-to-day tasks. Both elegant devices complement and leverage all the rich telephony capabilities of the Alcatel-Lucent Enterprise platforms. Stay ahead by investing in world-class telephony equipment that thrives on collaboration and delivers confidence to your customer’s that their investments will be last for many years to come. Compatible with 9 series Digital Phones (40×9). Leverages the installed base of Alcatel-Lucent OmniPCX systems.